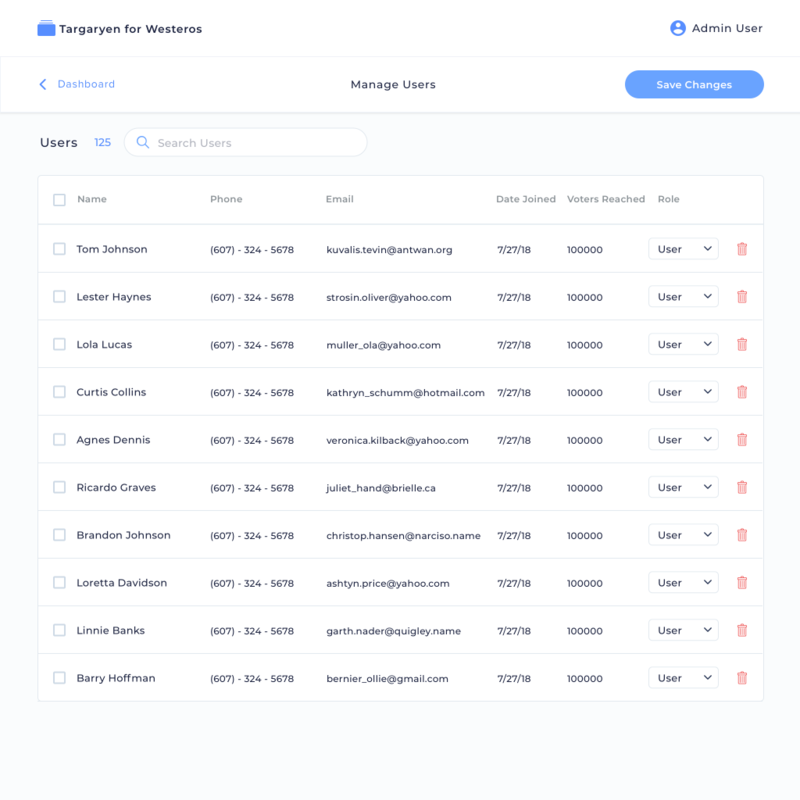 Use this screen to browse all the users of your campaign and their basic contact information. You can also see how many responses they have each gathered and when they joined the campaign. Regular old users are what everyone starts off as when they are added to a campaign. They can search voters, record responses, and view all main screens in the app. They cannot access admin features and they will always see addresses as masked (building number and apartment number will be hidden) and they will see contact info as masked (asterisks in place of some of the characters of email addresses and phone numbers) unless they’re the one who added that contact info on a given voter. Even when addresses are masked for a user, they can still search that address and get accurate results. Verified Users are just like regular users, except they can see full addresses and unmasked contact info no matter who it was added by. Admins are just like you! They can access the admin sections of the app from a desktop web browser. If a user is no longer welcome on your campaign, you can remove them by tapping the red trash icon.